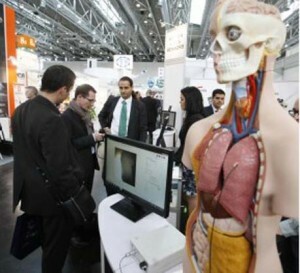 Messe Düsseldorf reported that 132,000 visitors attended MEDICA 2013, one of the world’s largest medical trade fair, with more than half of them came from outside of Germany. “We have observed a growing number of visitors in recent years particularly from those emerging countries that are especially promising for the medical technology industry, namely from among Asian countries, from India, Russia as well as South America and China,” stated Joachim Schäfer, Managing Director of Messe Düsseldorf. The conference program of MEDICA was completely revised this year. A newly planned MEDICA Education Conference was held every day, touching on topics for general practitioners and practical training on devices, which afforded national and European CME certification. There were scientific workshops on focus topics, presented by highly prominent speakers as well. The concurrently held COMPAMED 2013, the international trade fair for the supplier market for medical technology manufacturing, recorded 17,000 visitors. Its 681 exhibitors from 37 countries was a new high, notes Messe Düsseldorf. According to reports by some of Germany’s leading medical industry associations, international business in the meantime accounts for 68% of the almost 23 billion euros in current annual revenues generated by medical technology in Deutschland. 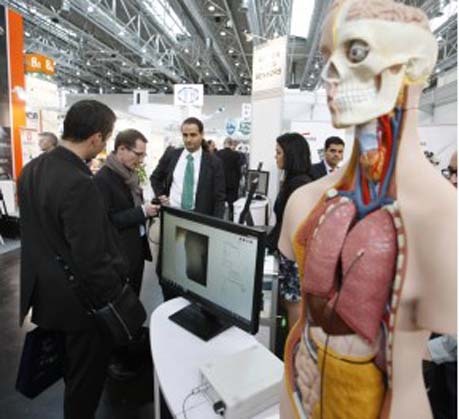 MEDICA 2013 was held from November 20-23 while COMPAMED 2013 ran from November 20-22 in Düsseldorf, Germany. MEDICA 2012 saw 130,600 visitors came to the show.